Last week I had the good fortune to take part in an e-mail exchange with Cristian Mungiu, the Palme d'Or-winning director of 4 Months, 3 Weeks, and 2 Days (2007). That film, perhaps the most celebrated to come out of Romania in the last decade, epitomizes what's come to be known as the Romanian New Wave—a style of filmmaking marked by hyperrealistic acting and mise-en-scene, complicated long takes, and subtle social commentary. Mungiu continues this approach in his third film, Beyond the Hills, which also won major prizes at the Cannes Film Festival (Mungiu won the best screenplay award and his two young leads shared the award for best actress). 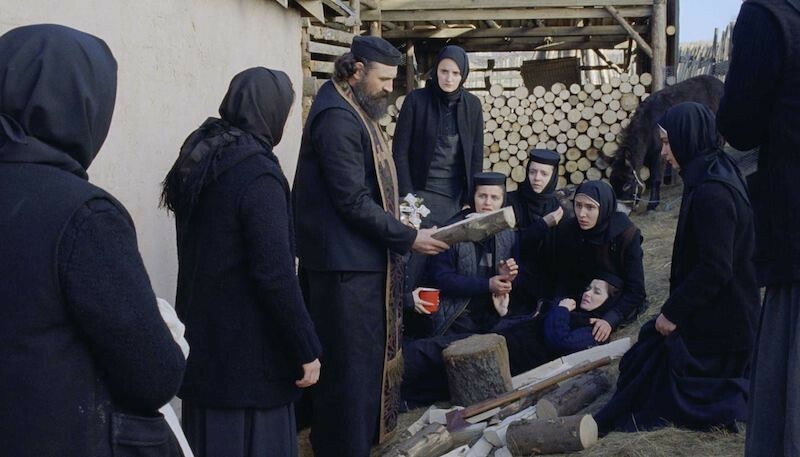 Based on the true case of a failed exorcism in a cloistered Russian Orthodox community, Hills is as unsettling and as formally accomplished as its predecessor; it's currently playing at the Landmark Century in Lakeview. Ben Sachs: Critics tend to discuss your work as part of a larger movement in Romanian cinema, writing about your films alongside those of Cristi Puiu (The Death of Mr. Lazarescu, Aurora), Corneliu Porumboiu (12:08 East of Bucharest, Police, Adjective), and Radu Muntean (Tuesday, After Christmas). Do you feel that you're part of a movement? If so, with which filmmakers do you feel most closely affiliated? Cristian Mungiu: There are beliefs about cinema that I share with the directors that you mention and with some others as well—mostly coming from understanding a certain kind of realism as the primary source of cinema. These beliefs that determine our style of storytelling: shooting in long takes for the sake of respecting the natural flow of time, avoiding editing and added/nondiegetic music. Still, I am not sure that's enough to name this a movement. There is no articulated manifesto or credo that we committed to respect or that we explicitly adopted. At the same time, though there are some formal resemblances, there are a lot of differences as well between these filmmakers—regarding suitable material, the amount of facts appropriate for a two-hour film, the choice of advancing a narrative progression versus allowing a more de-dramatized, unfocused description of events, and many others. These are not detectable by the viewer at the end, but these, let's say, ethical principles about cinema matter a lot to us. Do you feel the Romanian film industry has changed in the ten years since you directed your first feature, Occident [a romantic comedy stylistically dissimilar from his other two films]? Also, what do you think of Occident today? I'm afraid there is no Romanian film industry. There are just a few local filmmakers that succeeded upon a favorable circumstance—some film funding accessible with no commercial pressure whatsoever—and made very personal samples of cinema. 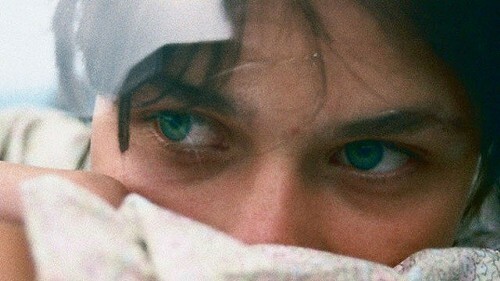 These films became visible because of another favorable circumstance—the stubbornness of the Cannes Film Festival to select and promote this kind of cinema that reveals the limits and the rudimentary principles of narration in mainstream cinema. I haven't seen Occident in the last 10 years. I stop watching my films after the year in which I have to accompany the film in festivals. But I have a strange sensation watching my earlier films—they seem very naïve in a way. How are your films received in Romania? Is the response at home different from the response in France or the United States? Occident was a local hit, [having been] designed to be crowd-pleasing. [4 Months, 3 Weeks, and 2 Days] also brought very many people to the theaters because people were very curious to see the Palme d'Or winner. Beyond the Hills was also popular enough given the subject—and again due to the awareness it had won a Cannes awards [sic]. Indeed audience response is different in Romania than in the U.S. or France because of significant cultural differences and because of the different circumstances. Here, most of the people knew the main storyline from the press; they were rather curious to see if the film takes sides, condemns or defends the Orthodox Church. People here identify differently with the film. The international success of the film is perceived as a sign of national pride by some people, while some others think the subject is inappropriate and that we shouldn't bring up shameful issues in front of foreigners. Another great difference [in response] comes from the different ways of understanding cinema. Most of my Q&As in France were about style, while in Romania people were taking sides [on the subject matter] and in U.S. [audiences] were puzzled that the film didn't indicate [to] them precisely who's guilty. I oversimplify, of course, but the different cultural models are visible. Could you describe your working relationship with Oleg Mutu? Clearly he's one of the most talented cinematographers working now. He executes so many ambitious long takes—and not only in your films, but in those by Puiu and Sergei Loznitsa (My Joy, In the Fog) as well. Does Mutu devise these shots or do they reflect a shared predilection between you and the other directors? I started working with Oleg in the film school some 18 years ago so; we pretty much grew together. We have quite a clear separation of responsibilities on-set. I frame and stage the situations, indicating the choreography of the actors and camera; while he handles the lighting on the basis of a very general plan we make before shooting. He's very passionate about his work, he reads and studies paintings a lot. He is a master of smooth long shots, which he does with the easy rig on him. I don't know how he works with Sergei, but I know he's been more and more involved with the decision-making in the films he shoots in the former Soviet Union. Being born in Moldova, he feels comfortable with the Russian language and culture. Are there any particular stories you want to tell as a filmmaker? Any particular feelings you want to evoke in an audience? I am trying as much as possible to start from everyday realities, not from exceptional events. I am trying to avoid being spectacular and efficient—and to preserve a certain narrative looseness that corresponds to life itself. I am trying to be as un-manipulative as possible, meaning that I am not trying to push my own point-of-view about the story, but letting the spectator judge. I am trying to give a certain freedom to the characters and to actors as well. I am trying to stay curious, thinking about filmmaking as a process that helps you to understand and not as a tool that helps you tell a story. Do you have any particular hopes for the future of Romanian movies? It would be nice to have a greater audience in Romania, but it is rather unlikely. I recently read a post on the Internet by a Romanian spectator, saying that Romanian films are like reality itself and that reality is already too much for us. This person wrote that Romanians need cinema to be like a fairy tale that gives us a break from this reality. I understand what he means, but it is so much against our idea of cinema acting like a mirror to reality and helping you better understand yourself. I feel like the central theme of recent Romanian cinema is working through memories of living under totalitarianism. 4 Months, 3 Weeks, and 2 Days addresses the Ceausescu era directly, but one feels the weight of totalitarianism in films by Puiu, Muntean, Porumboiu, and Radu Jude (Everybody in Our Family), which play out in claustrophobic spaces or under the influence of an oppressive order. (Beyond the Hills is no exception.) Are Romanian filmmakers making a conscious effort to deal with the subject or is this going on throughout the national culture? Also, is this a generational thing (I've noticed that all of the current Romanian filmmakers to receive global distribution were born in the 1960s) or were Romanian filmmakers dealing with the Ceausescu era prior to the last decade? I don't really believe in this thesis. [4 Months, 3 Weeks, and 2 Days] was indeed placed during Communist times, but all the films of all the other authors you mention happen today—and oppression or claustrophobia do not belong exclusively to communism. Of course, the whole Romanian society is still influenced somehow by 50 years of Communism and probably we are influenced as well. But I feel that this comment comes rather from people knowing very little about Romania besides Communism. Romanian filmmakers started making films about Communism as soon as Communism collapsed but most of these films were very bad pieces of cinema. The Romanian cinema that became popular in the last ten years became popular because it found a valid way of understanding cinema, not because of the stories we tackled and definitely not because we spoke about Communism. Actually, my feeling is that people are fed up with films about Communism. The critic J. Hoberman wrote in his review of 4 Months, 3 Weeks, and 2 Days, "How do these Romanian actors prepare?" Indeed the realism of contemporary Romanian cinema is so immersive that it sometimes feels voyeuristic. Is there a particular method that Romanian actors study that lets them perform so naturally throughout these long, complicated shots? Actually, it is very difficult to get these shots because they require a high degree of precision. There is very little to no improvisation. Ten years ago I couldn't do these shots and neither could the actors. But once you start asking for more challenging things from them, they will try, train, and look for solutions, and some of them will succeed. Most of the actors can't shoot like this; it's just too difficult for them to be convincing from the beginning to the end with no mistake. For scenes requiring many actors, with action and complicated camera choreography, it is very likely that someone will make a mistake—and a mistake is fatal when you shoot in long takes; you have to stop and start again (We still prefer to shoot on film, not on digital.) Sometimes you make it—and it's always like a small miracle—but sometimes you don't, and you have to drop scenes because you couldn't get them right. It's much more complicated than covering set-ups from all angles and deciding everything in postproduction. There is no trick in the way we shoot—it's all in front of you, emotions, rhythm and everything. Beyond the Hills is your second film in a row to center on two young female protagonists. Is that intentional or are you drawn to young women as subjects? Do you see yourself making another film with a male protagonist? Most of the episodes I wrote for [the anthology film] Tales From the Golden Age  had male protagonists. What I write is situation-driven, not character-driven. I noticed myself that both these films have female protagonists, but honestly I don't think about my characters in terms of male or female. I believe that you either understand human psychology or you don't.